There is a huge distinction between being “Handy” and being a “Do-It-Yourself-er”. I am not necessarily “handy”, which is great because the handy friend always gets asked to help build a garage for your neighbor or a brick patio for your mother. Nope, I’m not a “Handy” person, but I am a practical DIY’er. I figure; if I can learn how to do something correctly, why pay someone else to do it for me? Having a professional installer might seem like the ideal situation. After all, some bigger jobs are a bit scary at the beginning. But, Installers are expensive… and if you’re like me, why pay someone else between $4,000 and $8,000 (depending on type of booth and if it’s heated) to do something that you can do for FREE? That could be more than 1/2 the cost of the booth! “Did you say I could do it for free?” That’s right! You can save all that money and do it yourself! Don’t worry — We have specifically designed our booths to be easy to install for the average person and a friend that is willing to help. Don’t worry about all the electrical components, we recommend that you hire a licensed electrician to come wire and connect your power source once your booth is in place. How do we design these booths to be easy to install? First – We pack your booth with almost everything you will need to install it with the exception of your light bulbs (those tend to break in the shipping) and your electrical wiring (local codes vary) … You won’t get halfway through putting it together to find your missing a part to finish the job. Second – We give you really exceptional directions on how to set it up and labeled panels, including a 1-800 to call with any questions or issues you run into. Our paint booth expert installer, John, is excellent at walking you through it. Third- We send you the best materials to help you put it together fast, and correctly. Not every paint booth out there is easy to install….. What sets us apart from the competition is our progressive use of the TEK screw to fasten your booth together. Now, you wouldn’t think a screw would make all that much of a difference but picture this: You’re on a ladder, reaching across two paint booth panels. While trying hard to keep your balance, you have to line up the holes on these two large pieces of metal, keep together your nut and bolt and then use a wrench to tighten it all together. Not so easy. Now, imagine this: You’re on that same ladder; a drill in one hand and the other hand is on the joint… holding the screw. You slowly put the drill on the screw, hit the button… the screw zips in, securing the panels and your done. Easy, right? Why do we use these TEK screws instead of nut and bolt assembly? Lining up holes and assembling nuts, washers and bolts can be frustrating when dealing with large panels of metal and ladders. The TEK Screw is not always understood, sometimes because it seems just too easy. 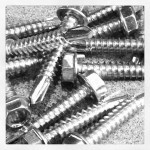 Cut the number of steps necessary to complete your installation by using screws that are self-drilling (meaning they drill their own hole) and then tap threads to combine the two pieces of metal. 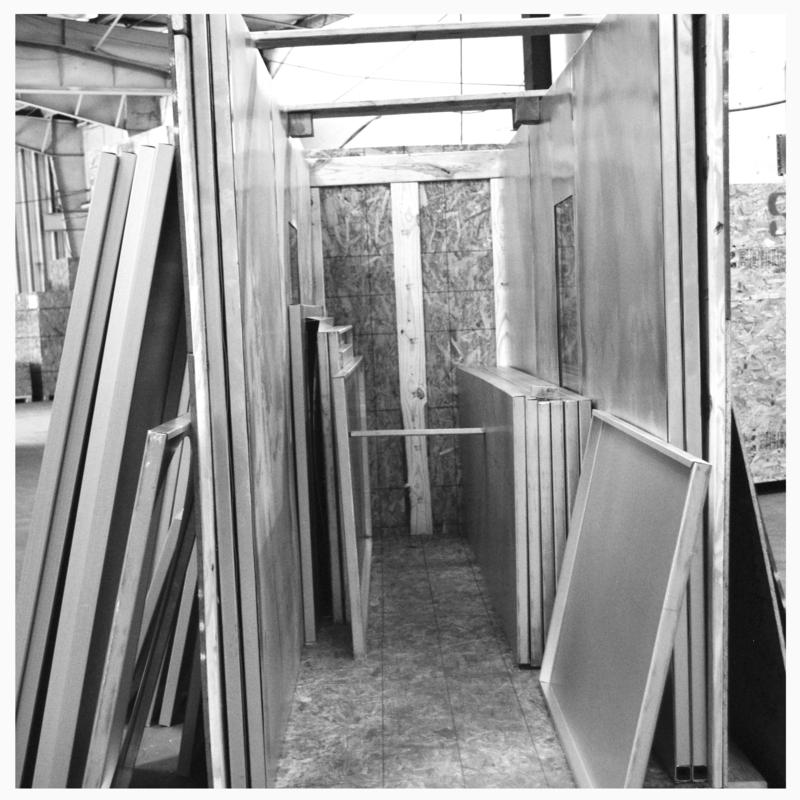 All of our paint booths use TEK screw technology because they were specifically designed for use in sheet metal building construction to withstand the rigors of heavy use and increase the speed of construction. 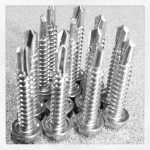 The TEK Screw is by far the easiest and fastest assembly method on the market today. 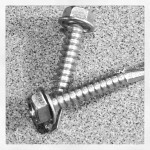 Watch our video on the Tek Screw vs. Nut & Bolt assembly to see just how easy it really is. There are many stages between researching your new paint booth options and walking in your new booth to start painting. Our team is here to help you during each step. With over 20 years of experience, we’re experts in our field. We’ll help you find the right booth, customize it and get it setup to use! Let’s get started. another great piece of home improvement where tek screws play a key role in the structural integrity of the booth. Next Next post: You Want to Ship a Paint Booth Where? International Paint Booth Shipping.